Prestley Snipes: What Are Split Sheets??? Split sheets are used to determine how much each person involved with a song, contributed. 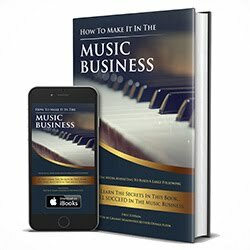 If you made a song on your own, that being the music (or the beat/instrumental) and you wrote the lyrics, then you own 100% of the song and there is nothing to split up. But if you only wrote the lyrics to the song and a producer made the beat, then you and that producer need to sign a split sheet together stating that the two of you created the music and lyrics and that you are splitting the song 50/50. There are different ways that you can split up a song, depending on the amount of contribution that you made to the song. For example, one person may have come up with the hook to the song, one person may come up with the lyrics and another made the beat. Typically, the producer of the music gets 50% of the song and the other 50% is split up between the writers. The two writers may agree that the hook is worth 20% and the verse is worth 30%. So the split sheet would say Producer 50%, Hook 20%, Verse 30%. Then all parties will list their name and which part they contributed and then all will need to agree and sign the split sheet, to make it official. The split sheet protects every one from future disputes about who contributed what and ensures that every party gets their fair share of the song royalties. In some cases, depending on the relationship of the parties involved in the song, the song may be split evenly. So three people would split the song up 33.33%, 33.33%, 33.34% to total 100%. Split sheets must always total 100%. This is an excerpt from Chapter 9: Split Sheets from my book "How To Make It In The Music Business: Using Social Media Marketing To Build A Large Following" Written by Ousala Aleem Published by Prestley Snipes LLC. Purchase your copy today.